Samuel P. Weaver – CEO and Founder has a lifelong passion for clean energy technology, beginning with discussions around the dinner table as he grew up during the 1970’s era energy crisis with a father in the energy technology business. Cool Energy was conceived during a Christmas brainstorming session between Weaver family members, along with sister company Proton Power. 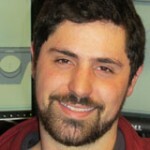 Sam is CEO of Cool Energy, and a board member of Proton Power. Brian Nuel – Director of Engineering has been with Cool Energy since July 2006. In the 10 years prior to that, he worked in product and process development, product testing, manufacturing, and business system development in many different industries, at both large and small companies. At Cool Energy, Brian has led the design, build, and test of every low-temperature Stirling engine produced. Outside of work, Brian enjoys sharing time in the outdoors with family and friends. 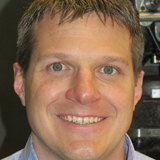 Lee Smith – Senior Thermal Systems Analyst joined Cool Energy in 2006. 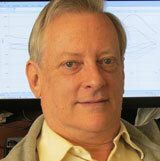 He came to Cool Energy with over 30 years of thermal analysis and engineering experience in a variety of sectors. Lee is responsible for developing customized simulation models and analysis programs for optimizing and improving the SolarHeart Engine design and components. Stefan Berkower – Mechanical Engineer has a background which includes Finite Element Analysis, Mechanical Design, Test Development and System Testing. He graduated from the University of Colorado with a B.S. in Mechanical Engineering and a M. S in Mechanics of Materials. 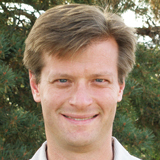 Stefan is a Boulder native and strives to enjoy the many activities this town has to offer. As an avid golfer and Evans Scholarship recipient, Stefan has a great appreciation for the game of golf. Stefan seeks opportunities to think outside of the box and allow creativity to take its form. 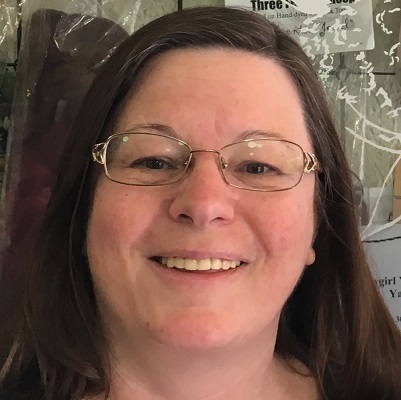 Michelle Bowman – Office Manager joined the Cool Energy team in July of 2018. She earned her B.A. in Technical Communication from Metropolitan State College of Denver. Before Cool Energy, Michelle worked as a project manager for a language translation company and as a practice manager for a veterinary practice. A Denver native, Michelle enjoys fiber arts, including knitting and spinning, and traveling. Samuel C. Weaver – serves as Chairman for Cool Energy, Inc and is co-founder and President of Proton Power, Inc., a renewable energy company producing hydrogen on demand from cellulose for use as heat, power generation, hydrogen production or liquid fuel production. For the last 40 years Sam has been a serial entrepreneur founding and running over a dozen companies primarily in the advanced materials and energy fields. Sam has 12 patents, was made a Fellow of ASTM when he received their Award of Merit, has received entrepreneurial awards from the governors of Missouri and Tennessee, was awarded an honorary Professional Degree from University of Missouri-Rolla and has been inducted into the Academy for the Missouri School of Mines. 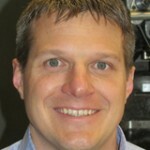 Sam has served as President, Rotary Club of Knoxville and a member of 2011 Leadership Knoxville. Sam has a B.S. in Metallurgical Engineering from University of Missouri-Rolla and M.S. and PhD in Metallurgical Engineering from University of Tennessee. Bill Gross – Board Member, founded Idealab in March 1996 and serves as the company’s Chairman of the Board and Chief Executive Officer. Bill founded Idealab to create and build successful businesses that capitalize on innovations in areas with significant growth opportunities, including the Internet. A lifelong entrepreneur, Bill started several companies prior to Idealab. After graduating from college, Bill and his brother Larry started GNP Development, Inc., which made a natural language product for Lotus 1-2-3 called HAL. In 1985, Lotus Development Corporation acquired GNP and Bill became a software entrepreneur at Lotus Development. In 1991, Bill started Knowledge Adventure, an educational software publisher that grew to be the third largest educational software publisher in the world and was eventually sold to Cendant Software and is now a division of Havas Interactive, which is owned by Vivendi. Bill serves on the boards of directors of numerous companies. He is also a member of the Board of Trustees of the California Institute of Technology and of the Art Center College of Design. Bill received his B.S. in Mechanical Engineering from the California Institute of Technology. Samuel P. Weaver—Responsible for the engineering management and daily business operations. Sam has led product development teams and engineering projects throughout his career, and has worked as a researcher and designer in the field of optics and optoelectronics. In addition to renewable energy, he has experience in a range of markets including telecommunications, data storage, and aerospace. 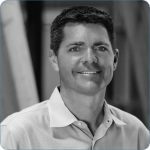 Sam previously co-founded Colorado Photonics, a profitable small business providing telecom equipment distribution, and has led multiple engineering development efforts at startup companies during his career. Sam holds six U.S. patents and has authored numerous technical publications. Sam holds a B.S. in engineering and applied science from the California Institute of Technology, and is a member of the Board of Directors of the State of Colorado Clean Energy Development Authority. Ryan Ferrero—Ignyte Lab: Ryan has worn the hat of Founder and CEO of successful companies for nearly 30 years, and has helped early stage entrepreneurs navigate the business landscape. He was the long-time Entrepreneur in Residence at iconic ad agency Crispin Porter + Bogusky and awarded Emerging Entrepreneur of the Year by Office of Economic Development in 2013. Director and C-Suite Executive responsibilities, the Deming Center for Entrepreneurship at the University of Colorado, ZFyre-DataVault, Independent Power Systems, Cool Energy, BoulderPreneurs, and Pie in the Sky. He is a past director for Verus Bank of Commerce, United Way, Rotary and Chrysler/Jeep Marketing. He has a B.A. in Psycho-Social-Economic Behavior from the University of Colorado.